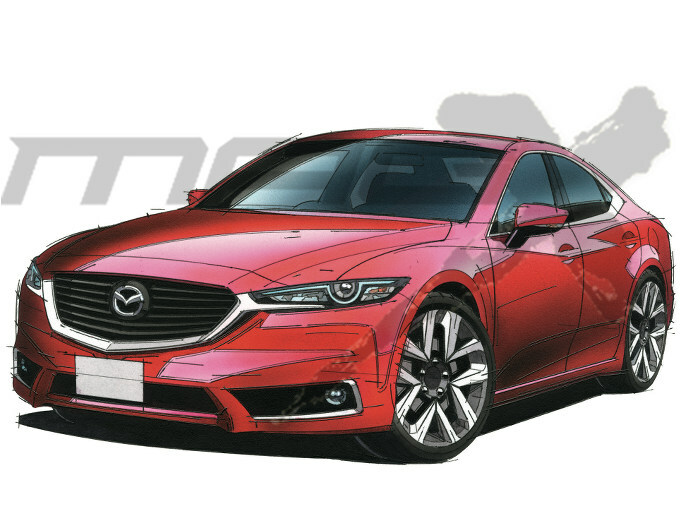 Mazda, considering next-generation Atenza FR conversion !? 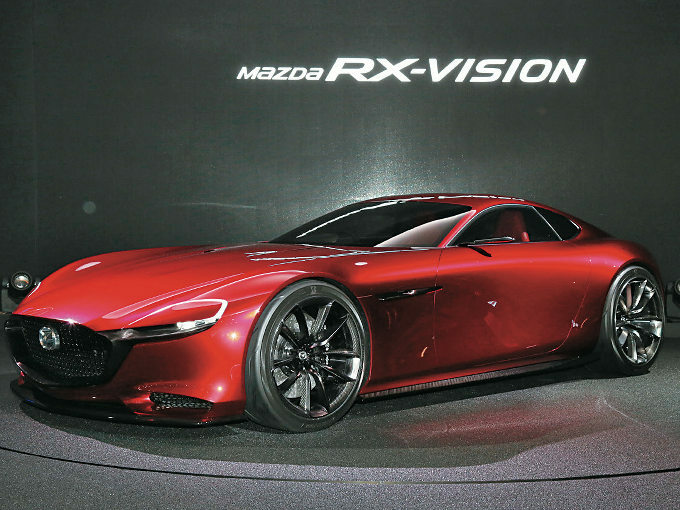 Mazda seems to consider making FR the next generation coupe of the same class as Atenza in view of product development in the 2020s. When FR method is adopted, the proportion of long nose is created by putting the front wheel forward. The distance from the center of the front wheel to the front door opening line is called the premium distance, and it is also the part where the biggest difference between the FF car and the FR car can be produced. 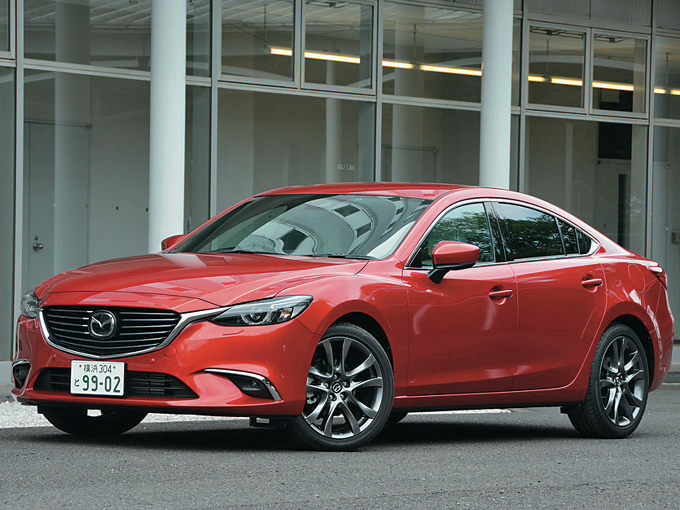 If Mazda wants to show Atenza as a more premium car, FR conversion is an effective means. 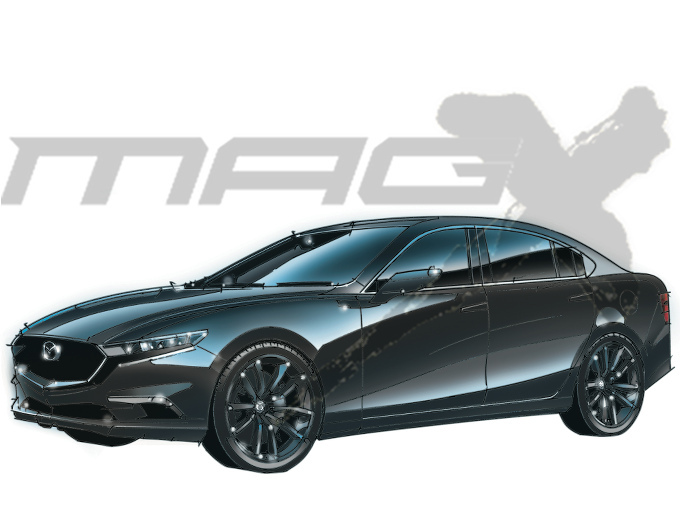 Sky active G, which Mazda uses for new generation products, needs a long exhaust pipe like a toggle. It is because it is the point that you breathe out the cylinder quickly, without leaving it. There is no doubt that next-generation engines will also be the point of incorporating intake and exhaust systems. Since the engine of Mazda is a front intake air and a rear exhaust in a horizontal position, the space behind the engine becomes important in order to throw out a completely burning fog. However, changing the idea, if the engine is installed vertically, it is possible to distribute the intake system and the exhaust system to the left and right. As a result, the layout of the intake and exhaust system should be much easier. Another point, since the engine and the transmission are in series in the FR system of the engine vertically placed, the degree of freedom of the dimension is increased more than the FF system. The next-generation hybrid mechanism that incorporates the motor in the transmission is developed in various fields, and even in the direct 4 engine of the FR layout, the product capability can be enhanced by combining the motors. Is capital alliance with Toyota a promising? It is a capital alliance with Toyota that should not be forgotten. The project to be promoted by Toyota and BMW also includes the next three series, and there is a possibility that Mazda will join here in the 2020s. In the future, even Toyota's FR sedan, such as Crown and Lexus IS, can not deny the possibility that Atenza and the next-generation coupe will share the platform. At the capital tie-in between Toyota and Mazda announced on August 4, 2017, it was also revealed to consider the possibility of product complementation globally. It is a big mistake if you think that this means only completed cars. There are plenty of possibilities for interchanging technologies and mutual use of platforms. In the public, pessimistic reaction can be seen against capital alliance with Toyota, but in fact it can be interpreted that Mazda could see a pathway to increase the premium taste more and more. It is not necessarily the partnership that the small is compelled to become large, and only the involvement is involved. ■ Onboard engine: Next Generation 4 Diesels, etc. Thanks for posting. Interesting read, but still too far in the future to be certain.